Wedding Gift for Mother, Wedding Gift, Wedding Shadowbox, Personalized Gift, Wire Art, Wedding Keepsake, Mother of the Bride Gift. 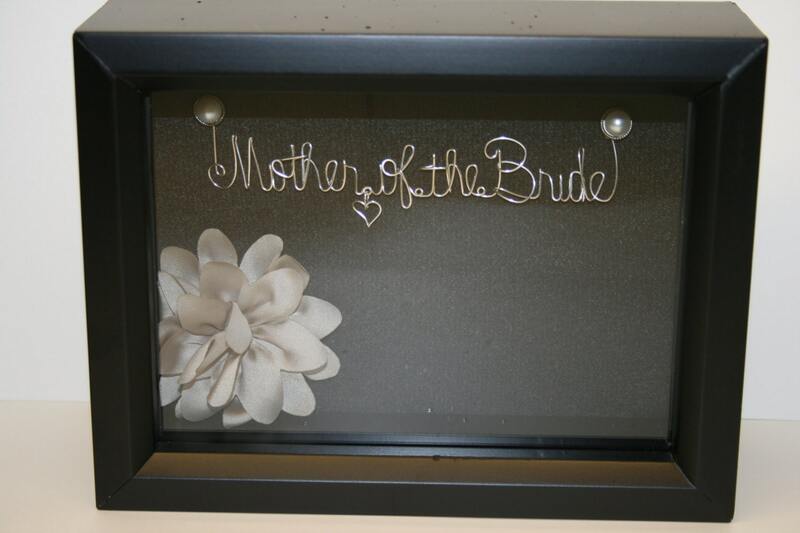 Wedding Gift for Mother, Wedding Gift, Wedding Shadowbox. 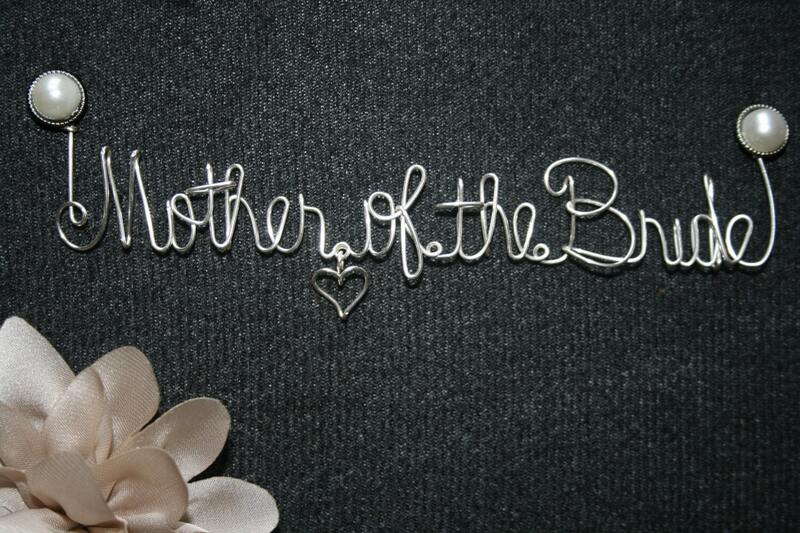 CUSTOM MADE TO ORDER, Personalized Wire Keepsake Wedding Shadow box. I can Bend any name, in your choice in a black wood shadow box. Comes with a flower and your choice of pearl or diamond posts. These wonderful shadow boxes, can be filled with other special keepsakes, that you want to keep protected and treasured. This is "The Ultimate Wedding Keepsake!" Made to order, please specify Diamond/pearl post and your preference of a heart charm.